You are currently browsing the tag archive for the ‘cork solution’ tag. 1. Hario Mizudashi Cold Brewer (ritualroasters.com), $25. This slow, cold brewer takes about 18-25 hours per batch, but for those who don’t mind the wait, it delivers a rich, low acidity cup of chilled joe that is perfect for cocktails–or when summer comes back–iced coffee! 2. DIY Cocktail Bitters Kit (uncommongifts.com), $30. 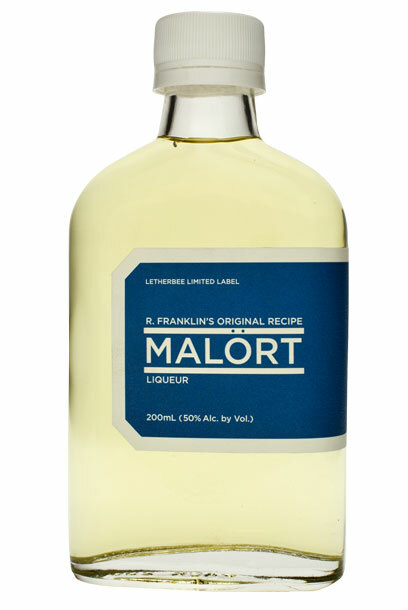 A perfect gift for the mixologist that likes to start from scratch, seriously. Geeky enough for the aficionado but easy enough for the novice, this kit as everything you need to make your own artisanal bitters. 3. 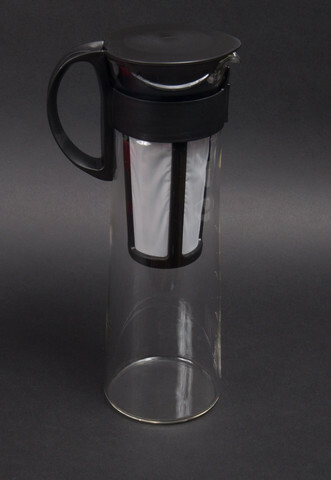 Tea Infuser Travel Mug (momastore.org), $20. It’s high time that the tea drinker was also considered for needing beverages-on-the-go. Simply add your tea into the the double-walled diffuser, and hit the road while your tea steeps. This elegant cup was featured in MoMa’s 2010 exhibit “Counter Space”, which focused on items that revolutionized the kitchen. BPA free, microwave OK, dishwasher safe, all good things. 4. 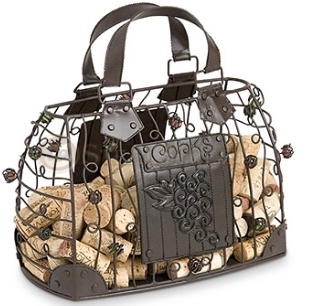 Wrought Iron Handbag Wine Cork Art Cage (homewetbar.com), $26. Are homeless corks taking over your life?? Here is an artful home for them, though admittedly more for the ladies. But don’t worry guys, you can also get one in the shape of a boot, bottle or … slot machine? 6. Dave Wondrich’s “Imbibe! From Absinthe Cocktail to Whiskey Smash, A Salute in Stories and Drinks to “Professor” Jerry Thomas, Pioneer of the American Bar“, (amazon.com), $20. Honestly, I think the title says it all… It is a truly great read from one of the leading voices in the mixology scene. 7. Rabbit Wine Stoppers (containerstore.com and elsewhere), $5 each. These colorful wine stoppers preserve what you can’t finish in that bottle (if that ever happens!). May not be exciting in their own right, but paired with a bottle of that favorite something, it makes a deliciously practical gift. 9. Whiskey Stones (thinkgeek.com), $20-30. Want the chill of ice in that drink without the dilution? These soapstone (mined in Vermont) cubes manage just that and travel well in the carrying bag, included. Your choice of package of 9 or 18. 10. And finally, the World Atlas of Wine (iTunes.apple.com), $25. This comprehensive tome from wine superstars Hugh Johnson and Jancis Robinson now comes in an interactive version for the iPad. For me, the best parts are the maps of all wine regions, which include not only topographical detail of all appellations but also locations of key producers. And so much easier to carry around than the physical book! Please share any other ideas for the holidays … and good luck with the shopping!